Planned giving is not a type of gift; it is a process that determines which giving technique will provide the greatest charitable potential to both the donor and Federation mission. Creating a planned giving gift ensures your family legacy’s everlasting presence in our Jewish Community, and helps preserve our Jewish heritage in our community and worldwide. Many variables go into deciding upon which mode of giving offers the best outcome in creating your Jewish Legacy. We've put together an easy-to-understand table of some of those variables and giving scenarios. Click the graphic to download the PDF. 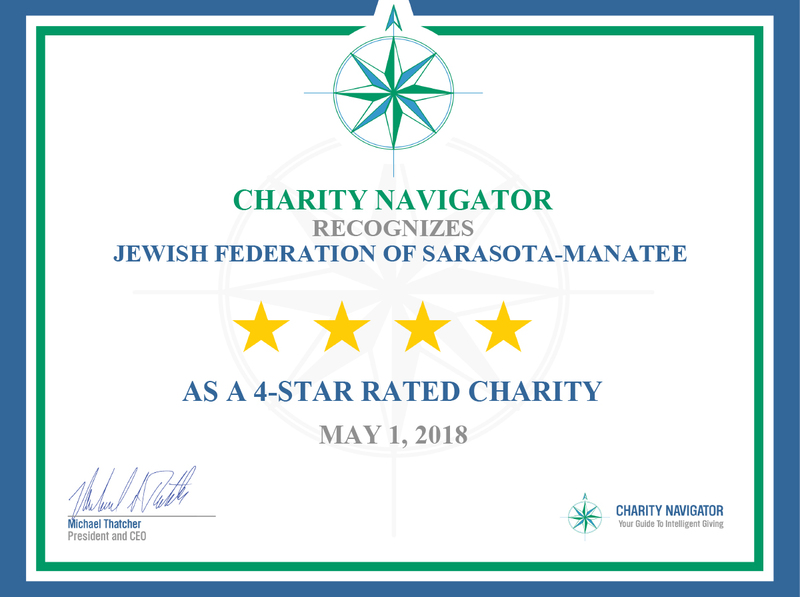 A program of the Harold Grinspoon Foundation and The Jewish Federation of Sarasota-Manatee, LIFE & LEGACY’s mission is to support the future of our Jewish community for generations to come. Click the tab above to find out more. The Legacy Society includes those who have made Bequests, or gifted PACE/LOJE Funds, Scholarship Funds, and Restricted Funds to The Federation. Click the tab above to find out more. How does your Legacy gift impact our society? Click the tab above to find out.